(Sponsored Post) My boys are nine and eleven-years-old. This means that we’ve had “the talk” — yes, that one about the “birds and the bees.” But in our fast-moving, digital world, where children are engaging more and more on social media, playing online games and reading news online, we need to have a different kind of talk — one that teaches them the rules of the road for navigating life online. According to a 2015 Pew Research Center survey, 50% of children receive their first smartphone by age 11, and 74% have access to laptops and desktops as early as six-years-old. There’s no doubt technology is playing a huge role in our children’s development. It just doesn’t make sense to ignore this enormous part of their lives. Having open and ongoing conversations about online safety and responsibility is essential to the well-being and overall safety of children. However, when I chat with other parents about having a digital safety talk with our kids, I get the sense they find it overwhelming because they don’t know what topics to cover. And that’s understandable. How can we possibly know how to approach talking about everything our kids see online when we didn’t grow up with the same devices, sites and apps they use today? Not to mention the fact that parents often tell me that they also feel pressured to buy their kids new devices that their peers and classmates are using, regardless of whether or not their kids are ready for that kind of responsibility. Fortunately, there’s a free, online tool to help families navigate these issues and talk about digital safety. It’s called The Smart Talk. National PTA and LifeLock developed it for families who want their digitally savvy kids to learn and have fun through technology, but also make sure that they are building positive habits to stay safe and be responsible online. The Smart Talk gives families an opportunity to talk about the issues that can come up as kids use smartphones, social media and apps — while they’re still developing emotional intelligence skills. Since the tool is online, you can have The Smart Talk as a family whenever it works best for you. After developing an agreement together, you can print a copy of the agreement, hang it where you’ll see it (like on your fridge) and revisit as needed. 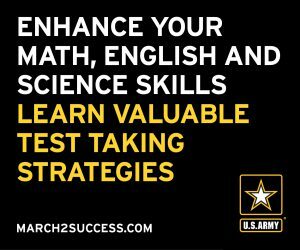 I’ve had The Smart Talk with my each of my boys — and they even enjoyed it (at least more than they enjoyed having that other talk)! We plan on regularly checking in on our digital safety agreements. When that happens, I’m sure they’ll teach me a new thing or two, and we’ll have to evolve our agreements accordingly. Join me in partnering up with your kids as we try to make the internet better and safer — have The Smart Talk tonight. Kim Allman is the Vice President of Government Affairs and Corporate Social Responsibility at Lifelock. LifeLock is a financial sponsor of National PTA, and has been invited to submit a blog post as part of their engagement with PTA. National PTA does not endorse any commercial entity, product, or service, and no endorsement is implied by this content. We were flying to the Caribbean—no simple task from the West Coast. First we took the red eye to Miami. Then we had a five-hour layover, only to find out our connecting flight had been canceled when tropical storms moved in. While scrambling to find a new flight, I left my billfold in an airport waiting area. And when we decamped to a Miami hotel for the night, I left my phone in the taxi. I was lucky. When I realized my billfold was missing, I ran back and found it right where I left it. And I was able to use the find-my-phone feature to alert the cabbie to its whereabouts in his backseat. He drove the phone back to me. Had I lost either—or both—identity theft could have soon followed. I don’t think I’m alone in not thinking clearly when I’m out of my element, particularly after a red eye and when everything seems to be going wrong. But even if you’re a levelheaded, clear-eyed, always-on road warrior, things can happen that are out of your control. With spring here and the end of the school year in sight, many of us are starting to make travel plans. We’ve rounded up some useful tips to help protect yourself—and your identity—as you hit the road. 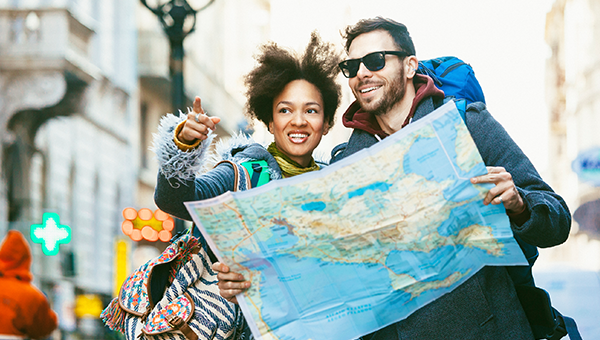 Smart travel starts before you leave. At home, make sure to keep your most important documents in a safe place. Use a fireproof safe to protect your personal information and valuables, including your Social Security cards, birth certificates and marriage license. Protect your smartphone and other devices with a passcode. Should your device get stolen or lost, a passcode will help protect you from theft, unwanted usage charges and misuse of your personal data. Place a hold on your mail and newspapers while you’re gone. A stack of newspapers at your front door is a give-away that no one is home. And bank statements and credit card offers piling up in your mailbox can quickly become a treasure-trove of information to crooks. The U.S. Postal Service will hold your mail while you’re away and deliver it all at once or hold it for you to pick up when you return. Simply fill out this easy online form. Be careful when using ATMs. Identity thieves have been known to modify ATMs by adding card skimmer devices to them. Sometimes you can spot these altered card readers by inspection. If parts look loose or not quite right, find another machine or use an ATM inside the bank. Don’t get lazy when it’s time to walk out of your hotel room. Lock up your valuables in the hotel safe. Stow your passport, financial cards and IDs securely. As it turns out, a LOT can go wrong when you’re on the road. But the more you think about it and plan ahead, the better off you’ll be. Oh, and don’t leave your billfold in an airport waiting area or your phone in a cab! You might not be as lucky as I was, and even if you are, you don’t need the grief from your travel companions. Trust me on this. Learn more about a special offer from LifeLock for PTA members and families. Cory Warren is the blog editor of LifeLock UnLocked. If you’re making an effort to use stronger, more complex passwords on your online accounts, good for you! But be careful—a longer password isn’t always a stronger one. Here’s what I mean. “123456” is an excellent example of a weak password. Changing it to “12345678” certainly makes it longer, but not necessarily any stronger. And changing “password” to “password123” doesn’t increase its strength by much either. Consider using a randomized series of characters that incorporate a mix of letters (both uppercase and lowercase), numbers and symbols. While long words such as your hometown or company name could be easy for others to decipher, a random variety of characters will leave them guessing. An easy way to remember a password that is random and difficult to decode is to create a sentence and then list characters that represent the sentence. For example, you can use a sentence like, “My favorite place is the beach,” and break it down into something like, “mFp1StB!” As you’ll read here, LifeLock educational advisor Jean Chatzky takes a similar approach for her passwords. It’s important to use different passwords for each account you have for obvious reasons. If someone guesses one password, it’ll be easier for that person to hack into your other accounts with the same password. When you update a password—for instance, following a data breach—it’s easy to fall back on ones you’ve already used. Don’t do it. 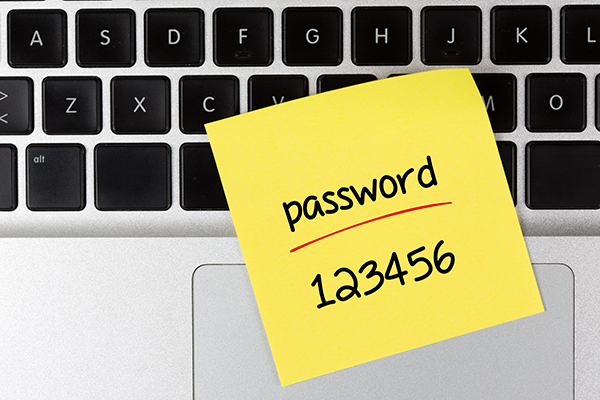 Work to keep each password fresh and unique—like you!—and, of course, strong and complex. Password management applications act like a digital wallet, storing your personal passwords, login details and other information in one place. All you need to remember is one strong password that allows you to log in to the password management app itself. There are many on the market, so search and see which one may work best for you. Learn more in this LifeLock UnLocked blog post from the Identity Theft Resource Center.